Can you judge a person by their kitchen? By their kitchen gadgets? Regular readers of this blog will have noticed that my own particular paraphilia is kitchenware. I can spend hours in cookware shops, hardware shops and peering in the ‘everything for a pound’ random box under the table at car boot sales, searching out a new kitchen gadget. I’ve bought lobster crackers although I don’t eat lobster and wooden butter curls but I never curl my butter. I want to buy wooden butter pats which is ridiculous as I know I’ll never use them. So you see, it is a real addiction. 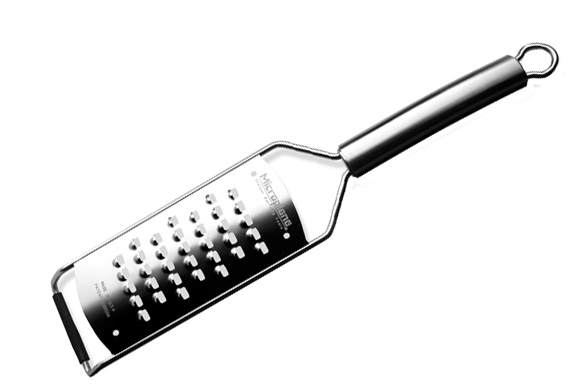 One can spend a lifetime searching for the perfect peeler or grater or nutcracker. How many times have we bought a cheapo gadget that didn’t work or fell apart on its first use? 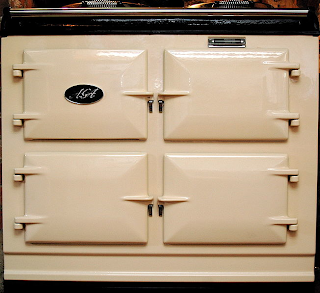 Sometimes it’s worth buying a brand: well designed, sturdy, classically attractive. The following list is in no particular order. Most are small items that are not necessarily the cheapest but are built to last. These will make life in the kitchen easier. 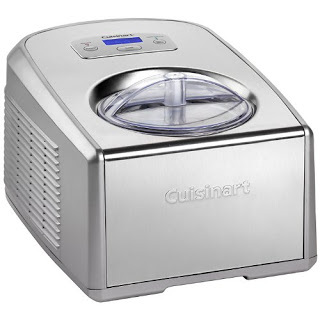 This is a great Christmas gift list for cooks. You have everything here, from big spendy presents that should combine Christmas and birthday to stocking fillers. Buy two – a fine one and a coarse one. I couldn’t believe it when I met a chef who didn’t know what they were. 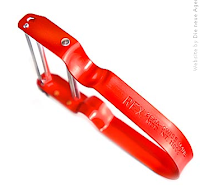 These are pricey when compared to cheaper graters, but won’t graze your knuckles. And let’s face it, as comedian James Acaster notes, most of us only ever use one side of our cheese graters. 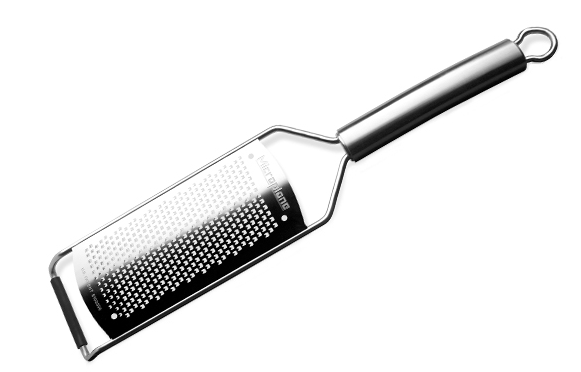 If you want it to last, buy the slightly more expensive, professional microplane with a metal handle. I broke my plastic handled one after only a year. 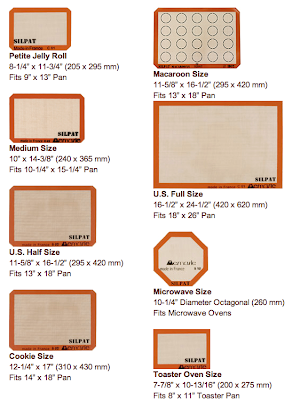 This non-stick baking mat prevents anything from sticking to your baking tray and reduces washing up. 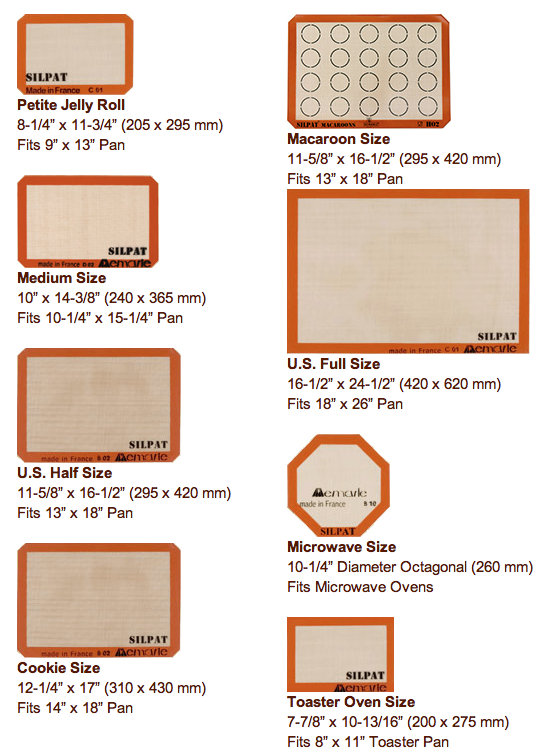 Any silicon baking mat is good but Silpat is particularly heavy duty. Any serious cook will already have these. If you haven’t yet, you need to. They aren’t expensive and will make you ‘gram perfect’. Salter do a good brand. Want to check if your meat or fish is properly cooked inside? Don’t cut it open, check with a digital thermometer. Want to work with sugar, not sure of the difference between hard crack and soft crack? Buy a digital thermeter. 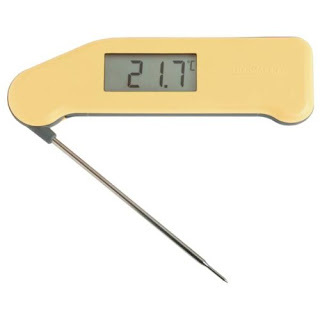 Thermapen is a colourful, accurate, well designed brand. I’ve got a few of these but I can always do with more. It’s not just for doling out cake mix, it’s for stirring, scraping down the sides. They are heat proof. 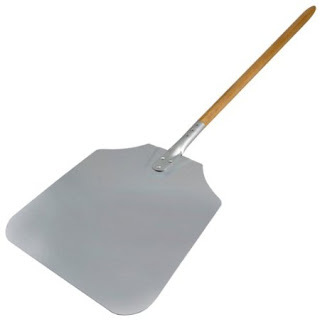 Good Grips Spatulas (2007 design) are an attractive example of the genre. Get a half litre (£2.65) and a litre (£3.30). 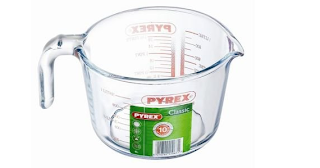 I probably use one of these for every recipe I make. Good for rough measurements of liquid. 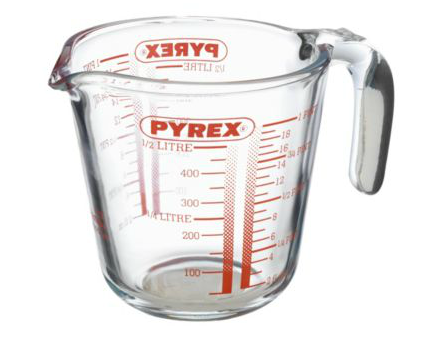 Zero the jug on a digital scale to accurately weigh liquid. I’ve even eaten dinner in mine to save on washing up. Heat proof. You need one of these. To fill bottles, to drain off stock into a jar. For stuff. I’ve got a couple of retro enamel ones. I’m always on the lookout for one. Try not to buy a plastic one, get stainless steel like this Lakeland one (£9.86 + £3.99 delivery) instead. Sooo glad I bought one finally. Endlessly useful whether you make jam or not. Want to fill a jam jar full of beans without having them roll all over the floor? 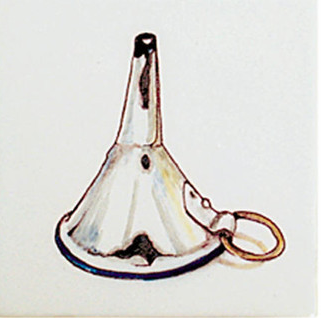 Use a jam pot funnel. 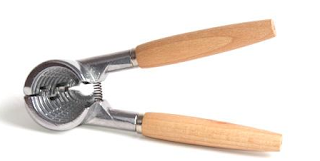 A good peeler shortens the job and saves fingers and knuckles. They have good ones at the Japan Centre. 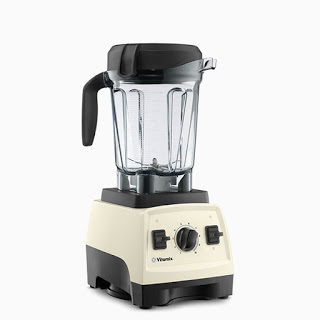 But the classic 1960s design Rex from Switzerland (£2.99) is a kitchen standby. If you don’t want to invest in a spiraliser buy a Lakeland Julienne Y Peeler (£3.55) which will do the same thing for small amounts of vegetables at a fraction of the price. I’ve been through so many nutcrackers and possessed so many that weren’t up to the job. This type, pictured, works well and hasn’t broken. I got mine in France and I can’t find any online like it, but this Kitchen Craft one (£9.84) would do the job. 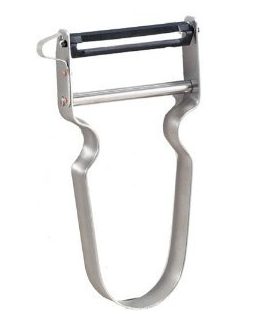 The Dutch and the Scandinavians love a cheese slicer. So do I. 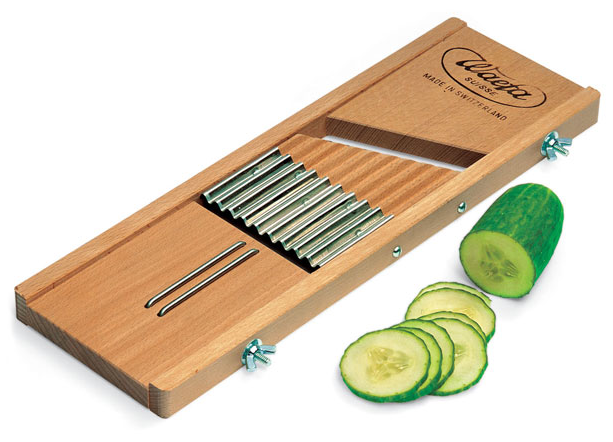 Great for thinly sliced cheese in sandwiches. Or shaving off slices of parmesan for a rocket salad or to top a pizza. Naturally a Norwegian invented the first in 1925. The delivery on this Boska slicer is quite steep, actually more expensive than the item itself (£9.95 + £12.95), but the short one (£9.50) seems to have no delivery cost for Prime members. This is not a gadget really. But the simplicity of this design works for me. I’m not a coffee geek but the ‘french press’ produces good enough coffee. 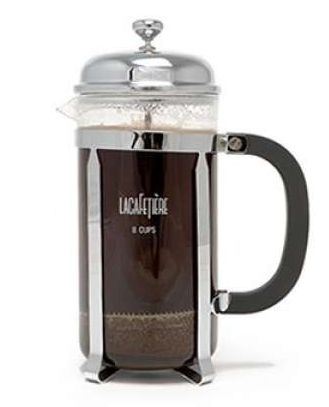 I have this one (£39.95), as pictured, but the retro one (£17.28) also by La Cafetiere is very attractive. Love these. 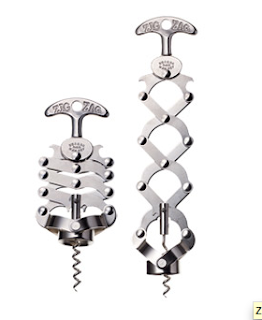 Again, simple and classic, the ZigZag corkscrew works really well. You can get antique ones at French flea markets for around 35 euros if you are lucky. Here’s a new one (£41.50). You need thin slices? Some chefs recommend the Benriner mandolin (£16.32). 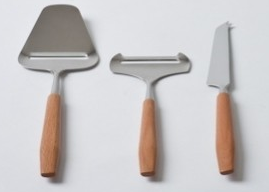 I don’t have one of these yet, I have an old fashioned antique wooden one, the Swiss Waefa slicer (£45), which is still being made. Most bakers prefer Kenwood and certainly I grew up on a Kenwood mixer. 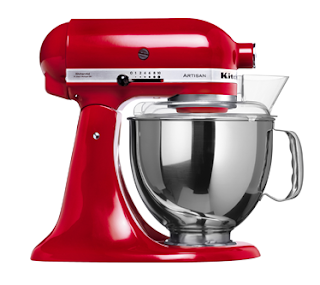 But I love the retro look of the KitchenAid (1937), the curves, the enamel, the colours, the sturdy Americana of it. There is the classic white (£301.06), which is cheaper but perhaps not as pretty as the Artisan range with a variety of colours (£369 – £449.95). In terms of functioning, I find the fact that the speed is on the left and the lifting up mechanism is on the right side rather counter-intuitive. Does anyone else? I have used a Vitamix for years. It’s dependable and my latest one, the cream-coloured Professional G-Series (£499), pictured above, is pretty and also comes in red and black. 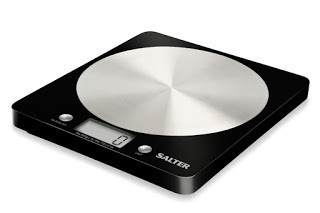 It grinds things so finely, you can even make your own icing sugar and rice flour. I made gooseberry curd in it, which took 5 minutes rather than half an hour. This is a cast iron, sturdy lidded saucepan. 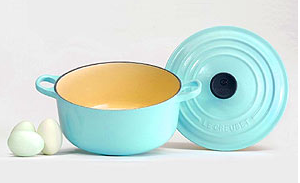 The nearest equivalent for a domestic kitchen rather than on a dusty cowboy trail is Le Creuset casseroles (£128) which are beautiful, made of cast iron and enamel, and a favourite of Elizabeth David. I only have small one which I found in a bin in the street. Maybe one day I’ll get some more. I have a Cuisinart ice cream maker (£232.89). 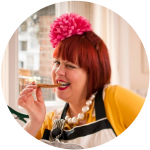 I’m serving lots more ice cream at my supperclubs these days because I can now make it in an hour! It doesn’t take up too much room and it’s easy to clean and use. This is deffo not a gadget. In fact if you possess one, you don’t need many gadgets at all. You don’t need an electric kettle, a toaster, a sandwich toaster or an iron. I have a classic 3 oven Aga in cream. Worth the investment, I’ve never regretted it. This barbecue is certainly an investment – a worthwhile one, quite like my Aga. In fact, you could say the Egg is an outdoor version of the Aga. 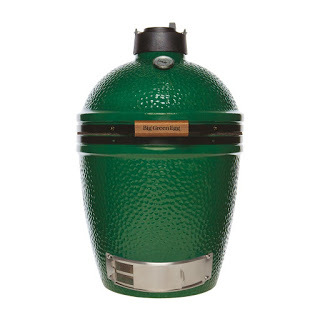 It’s a smoker as well as a barbecue, so you can also use it in the winter. Since getting my own BGE, I have smoked fish and mozzarella to make a salad, made peshawri naan, baked plantain, bbq’d stuffed mini peppers, corn on the cob, baked potatoes and used the BGE for a supperclub with Linn Soderstrom. I got one of these earlier this year. It’s ridiculously expensive. But… I’ve used it every single day since I bought it. It’s my go-to pan for stir fries, sauces, even soups (it’s deep). I bloody love it. I want it next to me in my coffin to take into the afterlife, like Tutankhamun. 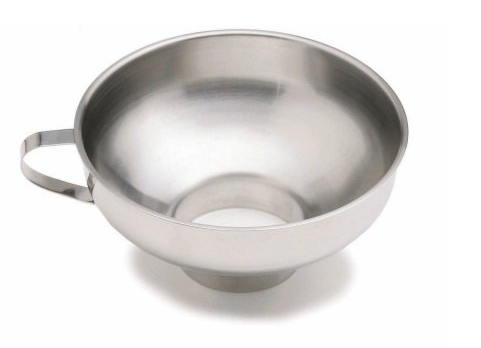 Sooo useful if you like to make pizza and bread. I use it for baking on my Aga floor but also handy for a pizza oven outside. It’s much easier to make tofu at home than you think. I’ve been looking for a wooden tofu press for ages. 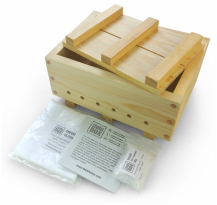 Most of them are plastic, but this is a thing of beauty, handmade in London by The Tofu Box. Recipe in my book V is for Vegan. Hell, get both! You found a Le Creuset casserole in a bin? Why on earth would anyone throw one away? Fabulous (& expensive, but they last forever) bits of kit. Mine gets used at least a couple of times a week, especially as we move to stew/daube/casserole time of year. I can't believe that either – What the, why would someone throw one away! Crazy! Either have, or (sigh) can't afford most of these. Solid list! loved this. V useful for mothers of foodie cooks. Also for themselves. Thanks! Thanks Katie. I'm sure Frank either has most of these or would like them.